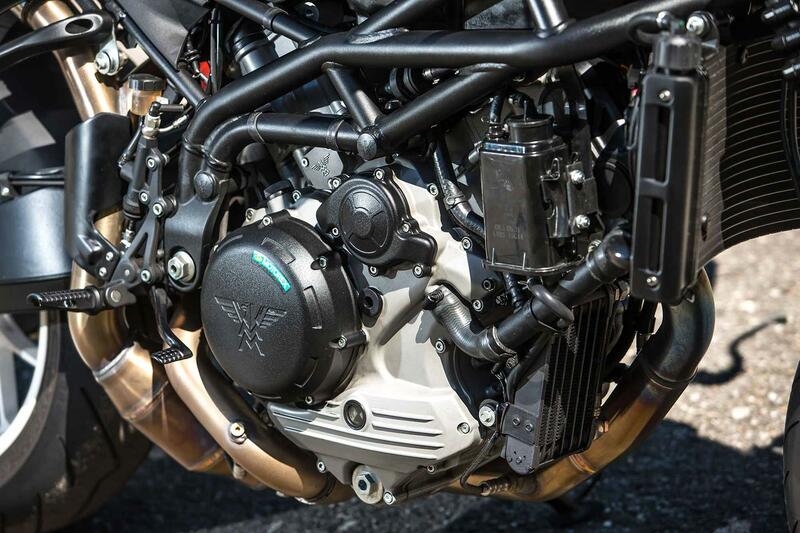 Moto Morini has taken its fiery mid-noughties Corsaro and bought it kicking and screaming up to date with the Corsaro 1200 ZZ. It doesn’t come with the excess power and electronic trickery to compete with its latest rivals, but it’s light, nimble, grunty, exciting and always straining at the leash. It’s smoother and more refined than ever - a true super naked in every sense of the word. 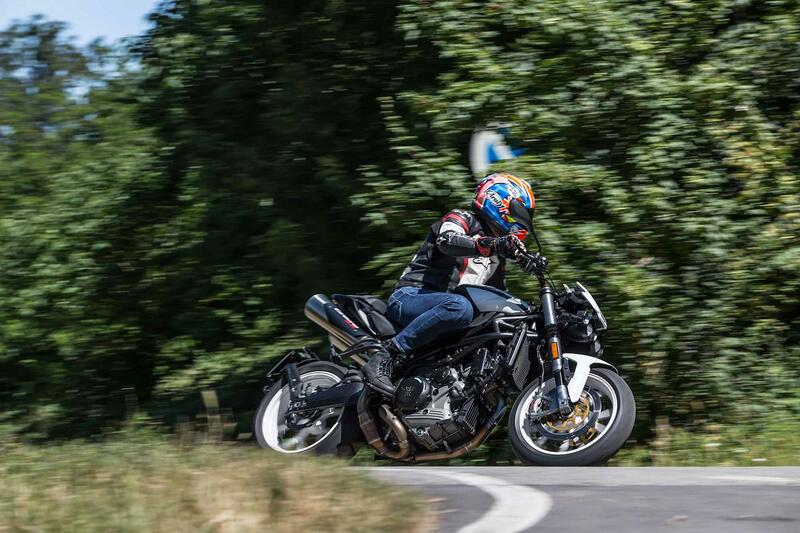 Older Corsaros always felt a bit clumsy and V-twin cruiser-like, but the ZZ is light on its feet and more like a tough, straight-barred superbike. 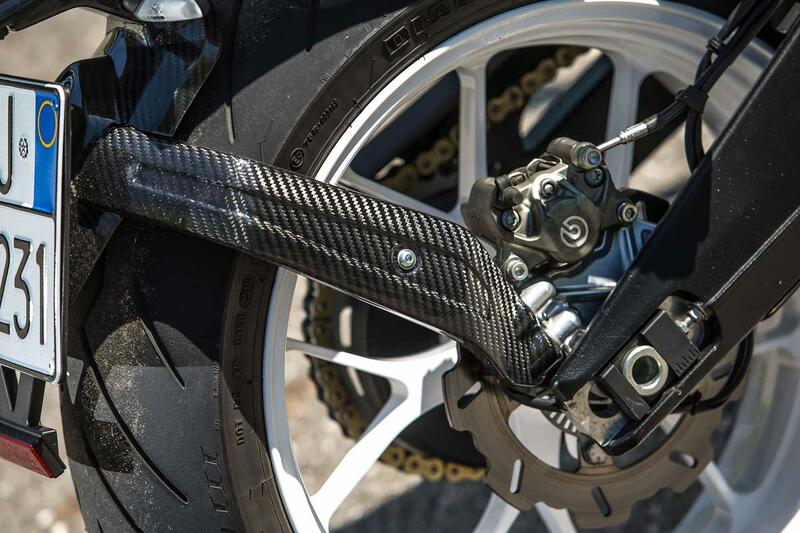 The riding position is roomy and natural, but rear-set pegs and tilted-forward stance remind you this is a bike with the kind of performance and handling that can only be exploited on a track. 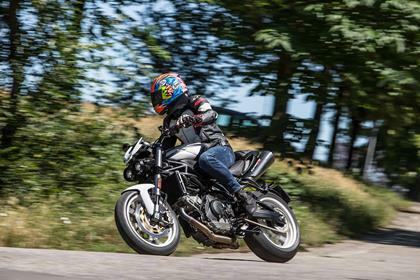 On grippier roads the standard Pirellis dig in impressively and the Brembos offer a tasty mix of feel and power. 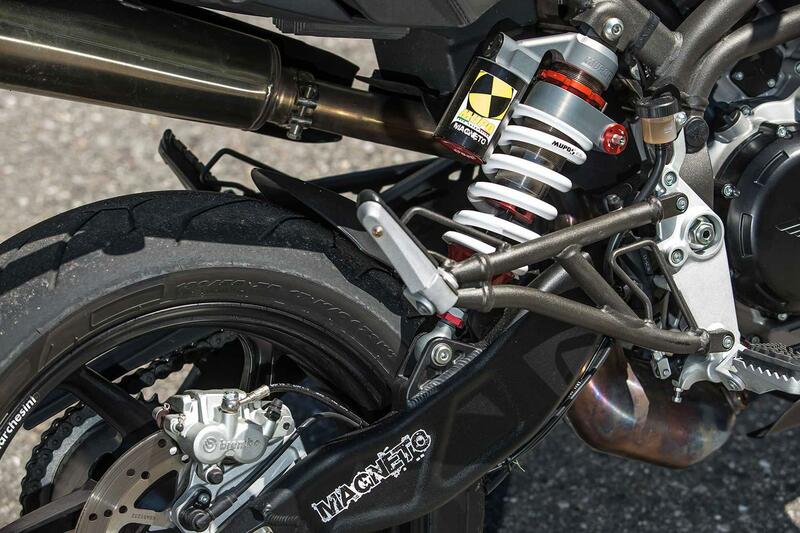 Born to scratch, the ZZ is supermoto-short, snappy and responsive in the corners. The Mupo forks and shock offer a plush, controlled ride, but at high speed the Moto Morini gets flighty, but never out of control. At its heart, the 1200 Corsaro ZZ’s Euro4 spec 137bhp, 1187cc V-twin motor is smoother than it was in its original, mid-noughties incarnation. It now has a slipper clutch and a quickshifter for the first time, but no autoblipper, traction control or rider modes. Peak power arrives at a lazy 8500rpm and it makes 92ftlb of torque at just 6250rpm, so the ZZ is all about low down, earth-trembling grunt. You hardly need to stir the gears once you’re up to sixth. 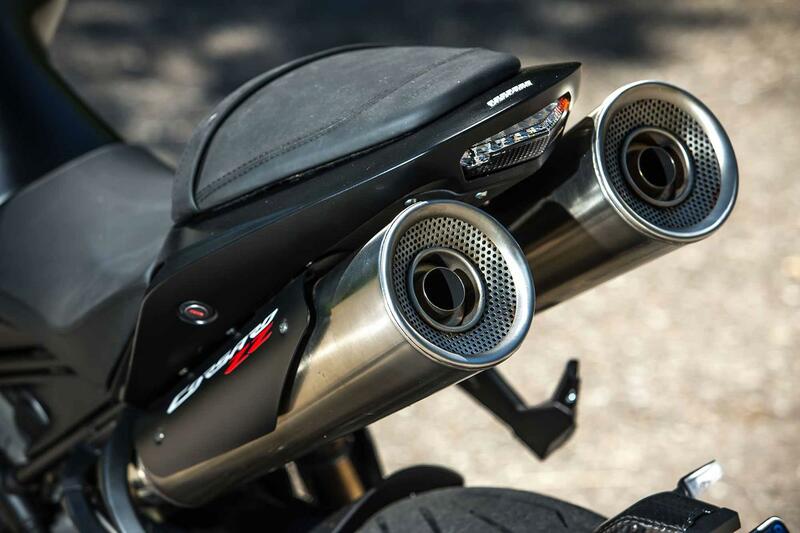 There are very few vibes to speak of and those huge underseat Zard pipes might be Euro-boffin friendly, but they retain the Corsaro’s gloriously shouty, bass-heavy soundtrack. 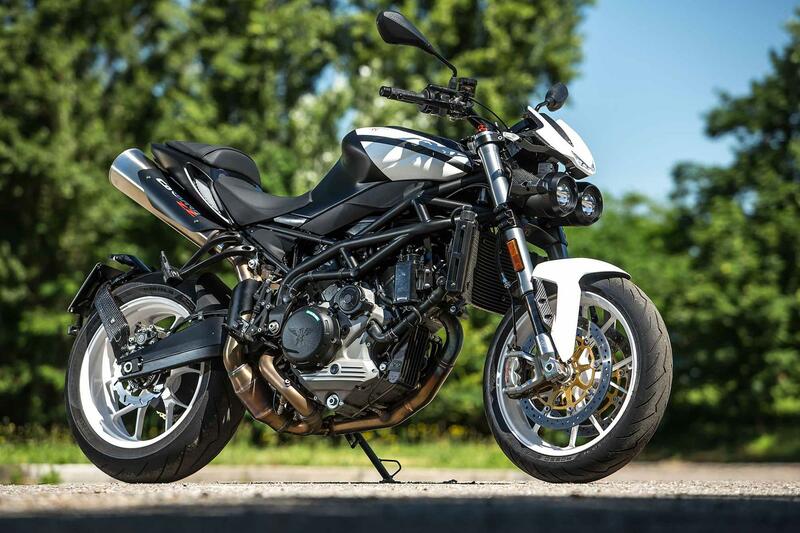 The Moto Morini is refreshingly simple and analogue – it’s light, direct and a bit nervy, just like super nakeds used to be. 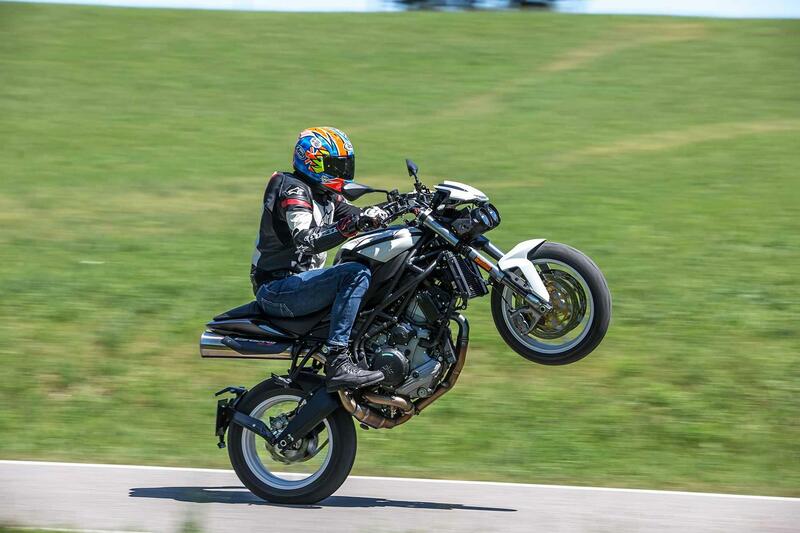 It also wheelies like a super naked should, too. On the flip side you have to ride with more care and respect. It’s easy to get a not-quite-warm rear Pirelli Diablo Rosso III spinning if you ask too much of the ZZ’s grunt-laden engine. Owners give nothing but glowing reviews for the previous Corsaro and especially love the bulletproof engine and gearbox. Some may worry about spares back up, but Moto Morini have a UK importer in place and a growing number of dealers. Costing a couple of grand more than even the class-leading Aprilia Tuono V4 1100 Factory, the Corsaro ZZ isn’t cheap, but build quality is everything you’d expect from a pricey, hand made Italian machine and exclusivity is guaranteed. 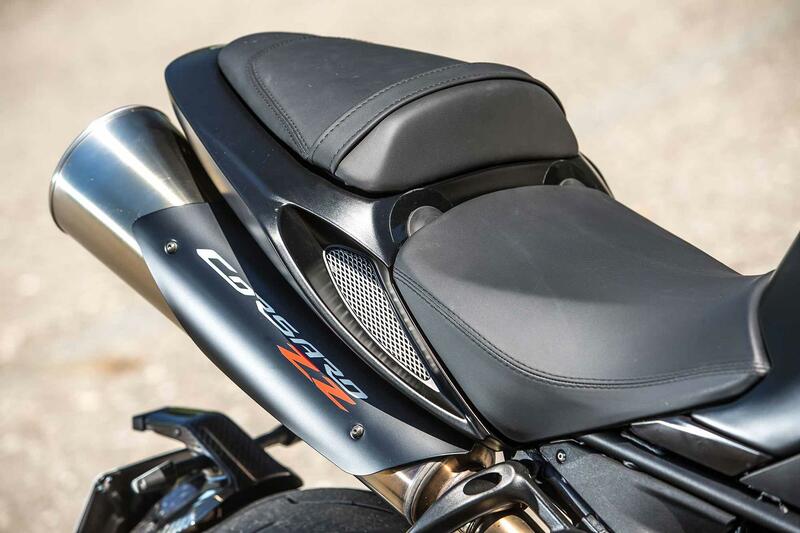 ABS is now standard and the ZZ comes with fully-adjustable front and rear Mupo suspension, revised steering geometry, M50 Brembo monobloc calipers, Brembo brake and clutch master cylinders, Accossato bars, LED headlights, a full colour AIM 5” TFT dash and lots of high quality carbon fibre trinkets. 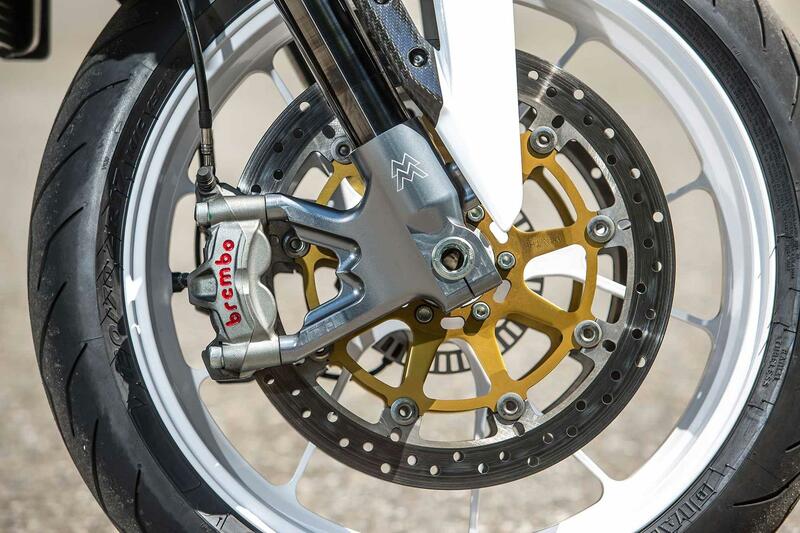 2017: Corsaro ZZ introduced under the guise of a resurgent Moto Morini and the introduction of Euro4 regulation. Rather than updating existing models, the Italian firm chose to develop something new. This is despite the 1187cc Bialbero Corsa Corta doner engine first debuting way back in 2005. Corsaro ZT. Slightly lower-spec, but similarly powerful version, introduced in 2018. 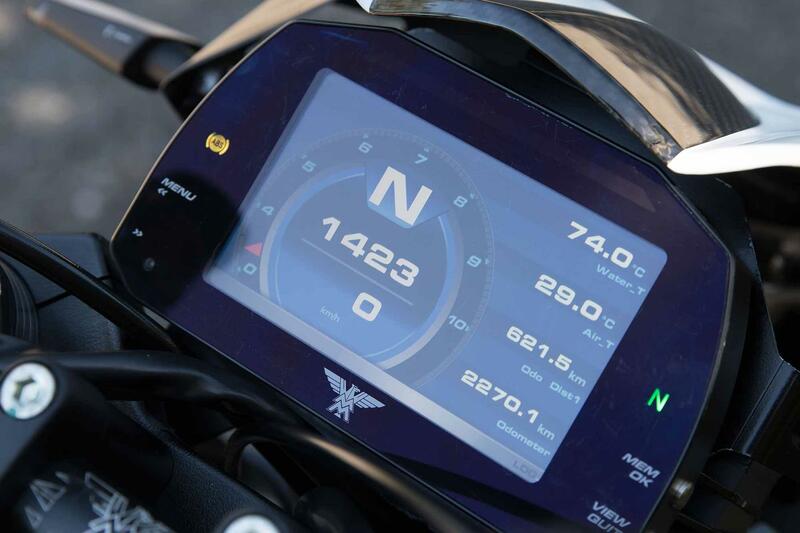 No owners have yet reviewed the MOTO MORINI CORSARO ZZ (2018-on). "Revvy engine, fine handling and roomy comfort are plusses. Frankly weird styling and brittle build are downsides"